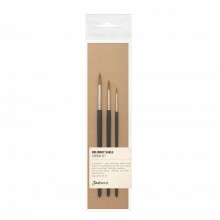 Jackson's Filbert Shinku brushes are superb quality brushes with a vibrant spring in the glossy hairs. The Jackson's Shinku brush range is a red synthetic haired brush (Shinku means 'crimson' in Japanese) that has a vibrant spring in the hairs. The hairs are super glossy which helps achieve smooth and fresh brush marks. Shinku brushes are made to the highest specification which means you will not lose hairs in your work while painting. 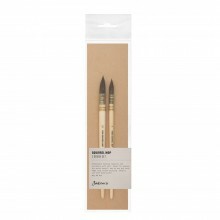 It is a wonderful long-handled brush, perfect for acrylic painting techniques.